Olive leaf oil is extracted from the leaves of the Olea Europaea tree. This tree grows mostly in Asia, Africa, and the Mediterranean basin. It stands from twenty-six to forty-nine feet tall, with a twisted trunk. 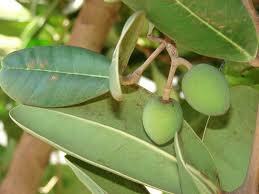 It bears olives and oblong shaped, silvery-green, leaves. These leaves contain vitamins, minerals and are loaded with antioxidants! Find vitamin C, beta-carotene, amino acids, zinc, iron, selenium and chromium. The USDA claims olive leaves as being "super foods", since they have up to twenty times the antioxidant power of other foods. Oleuropein, hydroxytyrosol, flavonoids and polyphenols are strong antioxidants, responsible for the bitter taste and pungent flavor. Olive leaves are found as dried leaves and powder. The oil is found in capsules or liquid concentrate. Olive leaves or oil are potent when used in combination with other antioxidants! For best results, use organic ingredients from a reputable brand. Olive leaf oil is a non-toxic substance and heavy in texture. It varies in color, from dark green to light yellow, due to processing. It's anti-bacterial, anti-viral, anti-fungal and anti-inflammatory! It has benefits for the body, inside and out! CAUTIONS! High dosages may result in side effects: headaches, fatigue, muscle pain, flu-like symptoms, diarrhea and allergic reactions. Avoid side effects, by drinking adequate amounts of water after use. Blood pressure and glucose levels may lower. Don't use with pharmaceutical drugs, that lower blood pressure or glucose levels. Avoid if pregnant or lactating. Keep away from children. If taking supplements or medications, consult your health care provider first. Alleviate: Colds, Influenza, Pneumonia, Sore Throat, Sinus Infections, Gum Diseases, Tooth Infections. Combat Epstein-Barr Disease. Olive leaf extracts are combined with olive oil in skin care applications: soaps, lotions, creams. Nourish skin cells and boost collagen levels, for firmness and suppleness. Reduce fine lines and wrinkles, of mature or aged skin. Combat acne and blemishes by controlling the spread of bacteria. Moisturize and soothe dry flaky skin. Relieve arthritis inflammation. Olive leaf oil promotes healthful skin. Place 1/2 cup buttermilk and 2 tbsp. oatmeal in pot. Mix together over heat until slightly warm and soft. Do not get hot, burn or scorch! Next, mix in 1 tbsp. extra virgin olive oil and 1 tsp. almond oil. Remove mixture from heat and aside until cool. When cooled, apply pasty mixture to clean face, gently. Avoid eyes, ears, nose, mouth or any other sensitive areas. Leave on face for 25 minutes. Rinse face, thoroughly, with cool water. Gently pat dry. Apply gentle moisturizer. -- Cleanse, soothe and moisturize. Restore normal, dry, oily, mature, acne prone or damaged skin. Help reduce fine lines and wrinkles. -- Olive leaf powder is as natural colorant in soap; with a warm brown color. Add it to our homemade soaps for astringent and antiseptic properties. Add this powder directly to your soap or try infusing your oil for a speckle free look. -- Add Peppermint or Spearmint essential oils for a fresh, invigorating, scent. -- A combination of Patchouli, Balsam, and Rosewood makes a nice homemade soap for men and women! -- Olive leaf oil is, often, used in conjunction with regular olive oil. Find the right specialty or soap making oil. Olive leaf oil is used for making homemade lotion! Moisturize and soothe dry flaky skin! Restore pre-mature aged skin. Reduce fines lines and wrinkles. Soothe or relieve arthritic inflammation. STORING OLIVE OIL: Keep tightly sealed in cool, dry and dark places to resist rancidity. Heat, air, light and time are the enemies of olive oil. If it's over 6 months old it can lose up to 40% of its antioxidants benefits. This oil does not improve with age, so use it within 3 months. It can be refrigerated but there is conflicting opinions about this. Some claim refrigeration can harm its flavor. Others claim it needs refrigeration due to its, highly, perishable monosaturated fat. Refrigeration will cause the oil to turn solid, but then return to liquid form when it's removed. Taking olive oil in and out of the refrigerator can reduce its unique flavor.